“invader” stool #3DThursday #3DPrinting « Adafruit Industries – Makers, hackers, artists, designers and engineers! stool chair inspired by classic “space invader” game and some models i saw over the internet and decided i would try to make my own. made for a course during industrial design studies. 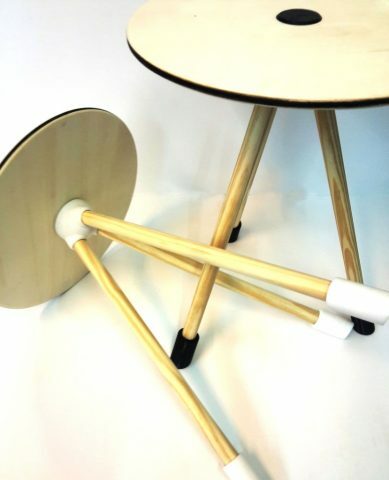 metireals are pla printed parts, laser cut seat 35cm round seat and 22mm broom sticks for legs.